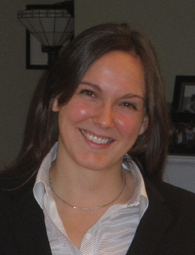 Kelsey Jack is an Associate Professor of Environmental and Development Economics at the Bren School of Environmental Science and Management at the University of California, Santa Barbara, and a Faculty Research Fellow at the NBER. Prior to joining the Bren School, she was an Assistant Professor in the Economics Department at Tufts University for seven years, and a Post-Doctoral Associate at MIT, with the Agricultural Technology Adoption Initiative (ATAI) at J-PAL. Her research explores incentive-based approaches to encourage the private provision of public goods with a focus on the environment. She combines environmental economics, contract theory, development economics and behavioral economics to examine individual decision-making in settings where decisions create social externalities.